LONDON, Sporting Alert – Former Manchester United assistant manager Carlos Queiroz has called on the English Premier League giants to stop the panic buying of players and then benching them. The Red Devils once again spent big in the summer transfer window, including the purchase of little known French striker Anthony Martial for £36million, but could cost the club as high as £58million with add-ons. Manchester United also broke the British transfer record for a transfer fee in purchasing Angel Di Maria from Real Madrid last summer, a gamble that didn’t quite worked out and the player was sold to PSG after a disappointing solitary term. 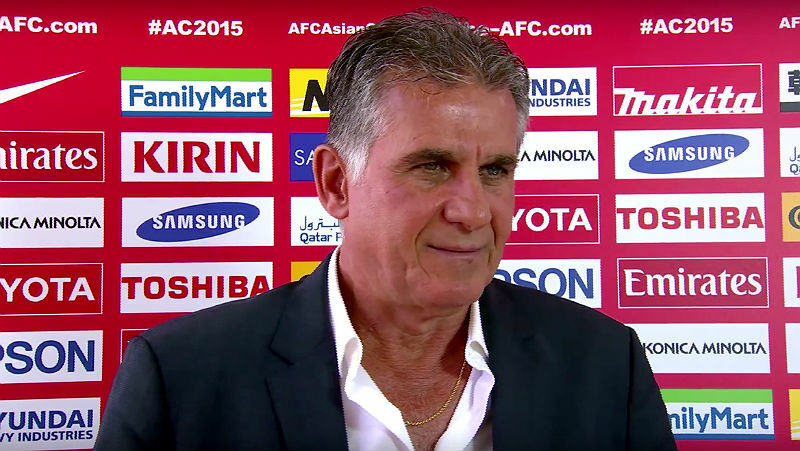 “A club like Manchester, with its financial capabilities, the results must be there immediately,” Queiroz said in an interview with The Guardian. “We also want to see the players shining. Great players like (George) Best, (Paul) Scholes, (Ryan Giggs) Giggsy, (Roy) Keane, Ruud Van Nistlerooy – where are they? Where are the stars of Manchester United? “It was always about creating players. Now it is the opposite, we see some of the best players going down and even some of the players that arrived in the team like Falcao and Di María were on the bench. Queiroz, who worked alongside Sir Alex Ferguson, who enjoyed a fruitful spell at Old Trafford that brought some 38 trophies in his 27 years in charge. The Portuguese coach believes David Moyes, who was picked by Ferguson himself to be his successor and Louis van Gaal, who took charge after the former Everton boss was fired after 10 months in charge, have both made mistakes that have cost the club. “I have great admiration and respect for Louis [van Gaal] and David [Moyes], they are great coaches that I admire but I think they made some critical and crucial mistakes in the transition from Alex,” Queiroz added in the interview with The Guardian. He noted also that Moyes’ decision to make wholesale changes to the club’s backroom staff when he took over was one of his major errors. “It was not necessary to turn everything upside down with the staff with people like Mick Phelan, people that know the insides of the club,” he said. The 62-year-old now hopes Manchester United can return to its glory days again under Van Gaal, whose side currently sits fifth in the English Premier League table standings.